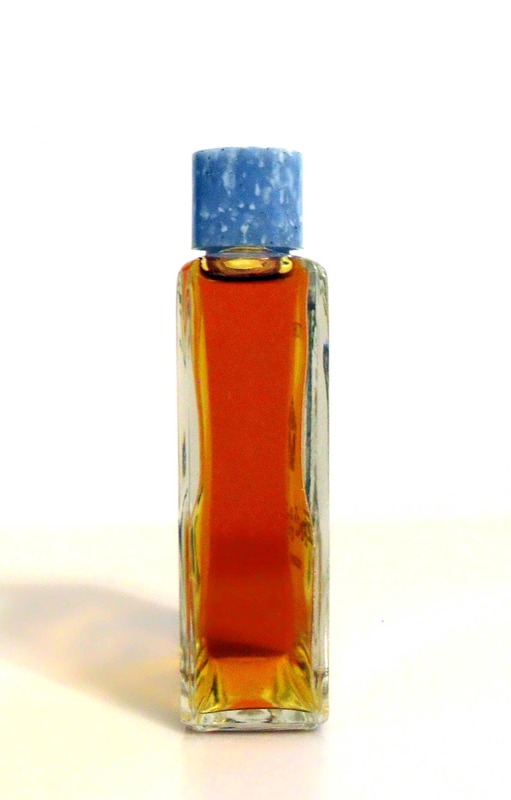 Vintage 1960s Enchante by Tussy 2 oz cologne splash. The bottle is about 100% full - see photo for the actual fill level. I just tested it and it smells very strong like alcohol at first and some of the topnotes are bruised, the middle notes and dry down are still present. It could be wearable. This vintage bottle has a blue plastic screw cap with embedded confetti. The bottle is marked “Tussy Enchante Cologne" and "Tussy Cosmetics, New York, 2 fl oz." Enchante was launched in 1960 and is classified as a fresh, spicy floral fragrance for women. 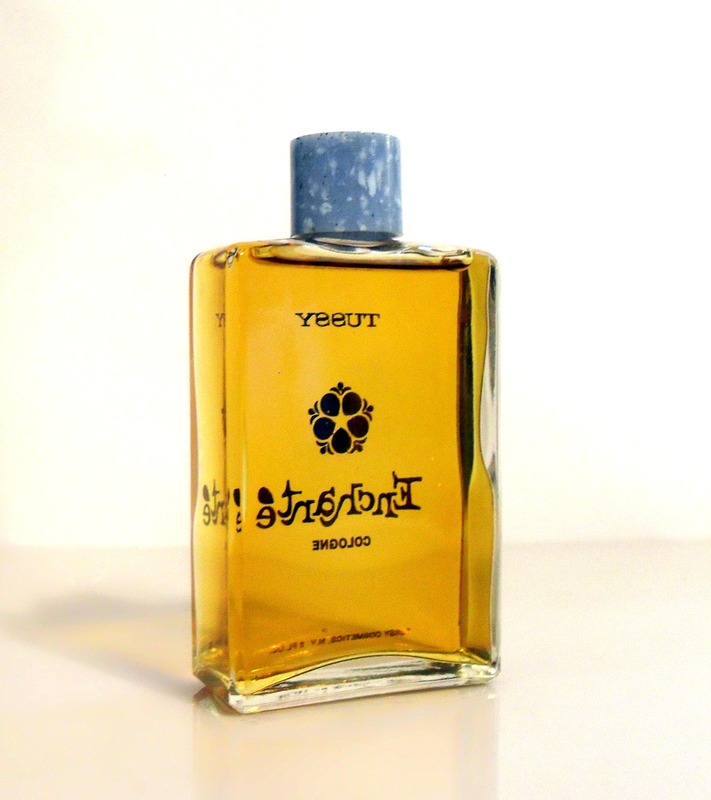 It has a gay, light flowery spice and a touch of sandalwood. 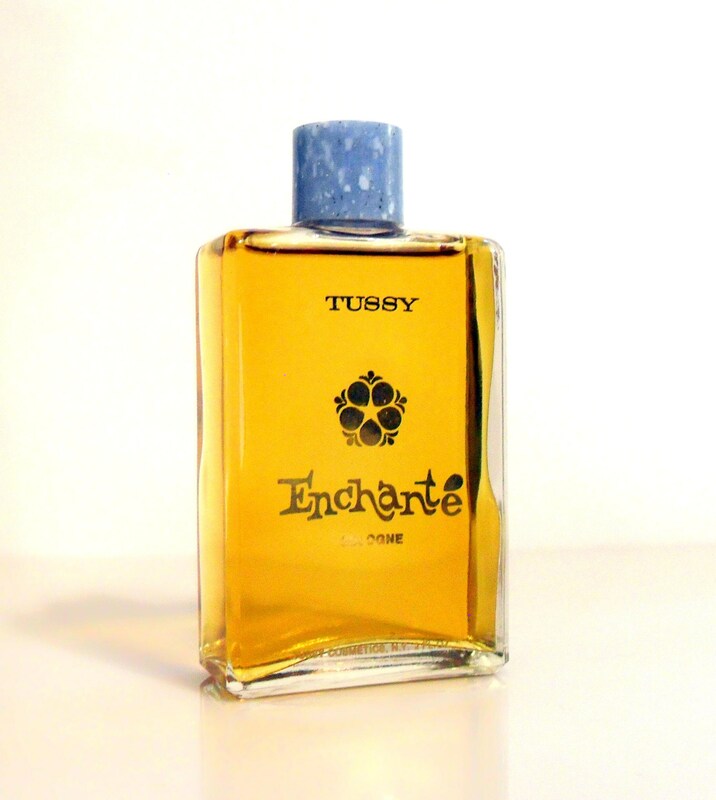 Enchante by Tussy was sold at drugstores in the 1960s. Unfortunately, this fragrance has been discontinued for over 40 years.